may not be successful for someone else. What does Endovenous Laser Technique involve? The Endovenous Laser Technique is a minimally invasive way of treating varicose veins. Instead of making an incision in the groin and stripping out the vein, a laser fibre is passed along the vein from the inside. 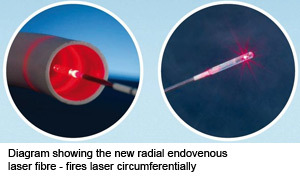 When the laser fibre is in position, the laser is fired to heat the vein. The vein near the end of the laser fibre is destroyed. Gradually the laser fibre is withdrawn from the leg unit until the diseased vein is completely destroyed. What happens to the varicose vein once it has been treated with the laser? Can the Endovenous Laser Technique be performed under both local and general anaesthetic? Does the Endovenous Laser Technique involve staying in hospital? All procedures, general and local anaesthetic, are performed as day cases. You can generally expect to be in hospital for up to approximately 6 hours from your admission time. Occasionally patients opt to stay overnight and this can be arranged, if necessary. 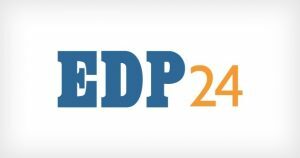 What are the advantages of the Endovenous Laser Technique compared to traditional varicose vein surgery? 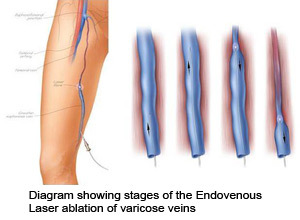 With Endovenous Laser, stripping of the vein is avoided. The technique is also associated with less post-operative pain and a quicker return to normal activity. It is also associated with minimal or no scarring. What potential complications may occur with the Endovenous Laser Technique? Bruising and haematoma are common but resolve. Rare complications include damage to the femoral vein, skin burns, nerve damage and Deep Vein Thrombosis (DVT). But the risk of DVT is lower after Endovenous Laser Surgery than conventional surgery. Full laser safety precautions are taken during the operation. How painful is the Endovenous Laser Technique? Research we performed a few years ago shows that some 72% of patients took no pain-killers at all after their surgery – not even a paracetamol. However if analgesia was required then simple paracetamol/Ibuprofen was sufficient. Time off work – varies from next day to few weeks depending on extent of procedure, pre-existing medical conditions and type of work. Yes. The legs are bandaged in the operating theatre and are worn for two days. They are removed at home and replaced by compression stockings which are then worn for two weeks. You will be measured in hospital for the correct size of compression stockings, which should be worn during the daytime but don’t have to be worn at night. How long will I need to be off work after Endovenous Laser Surgery? This varies from the next day to a few weeks, depending on the extent of the procedure, pre-existing medical conditions and the type of work. How mobile will I be after Endovenous Laser Surgery? Patients can walk around immediately after the operation and walking is encouraged post-operatively. When can I drive after Endovenous Laser Surgery? When can I return to the gym or start heavier exercise after Endovenous Laser Surgery? As a general rule, it is recommended that heavy exercise be avoided for about four weeks while healing occurs. However gentle exercise such as walking can be performed immediately. When can I fly after Endovenous Laser Surgery? Can veins come back after Endovenous Laser Surgery? 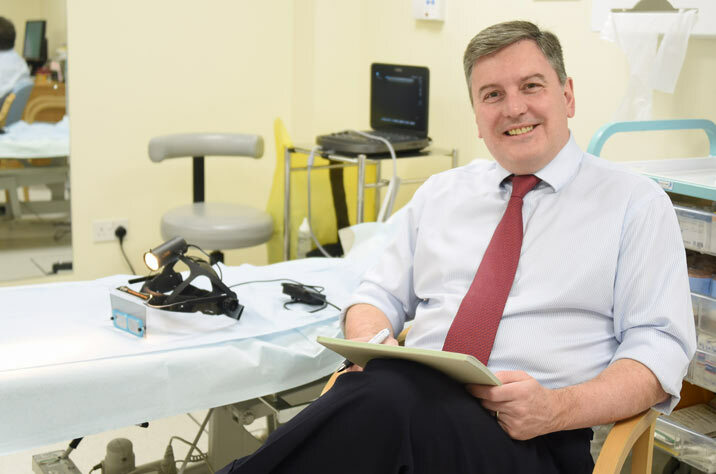 How experienced is Mr Gaunt with Endovenous Laser? 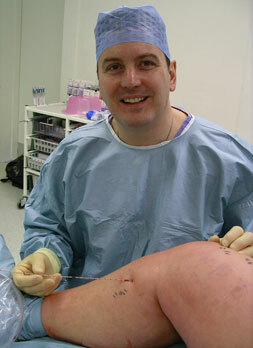 Mr Gaunt is one of the most experienced surgeons in the UK with over 6,000 procedures performed.